Starts from Hotels in Izmir. 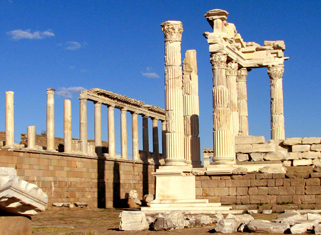 Pick up from your hotel and drive to Pergamon. Visit the Acropolis, the Temple Of Athena, the famous Library, the Royal Palaces, the Temple Of Trojan, the steepest Theatre of the world, the Temple Of Dionysos, the Altar Of Zeus (Seat of Satan), and the view of the Red Basilica (St. John’s church). Visit the ruins of Asclepion (Medical Center of the ancient world) after Lunch. Return back to your hotel after the tour. Drop off at your hotel.